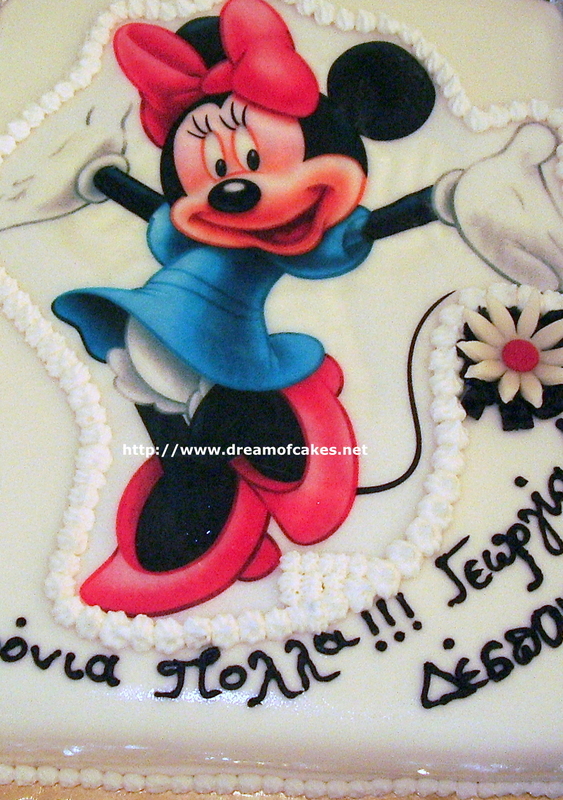 This cake was made for two little sisters, Georgia and Despina. It is a chocolate cake made with Cadbury Cocoa powder , biscuits, pure unsalted butter , icing sugar, eggs, milk, vanilla sugar and brandy. In this post you will be able to see the buttercream design I made a few weeks ago, as well. 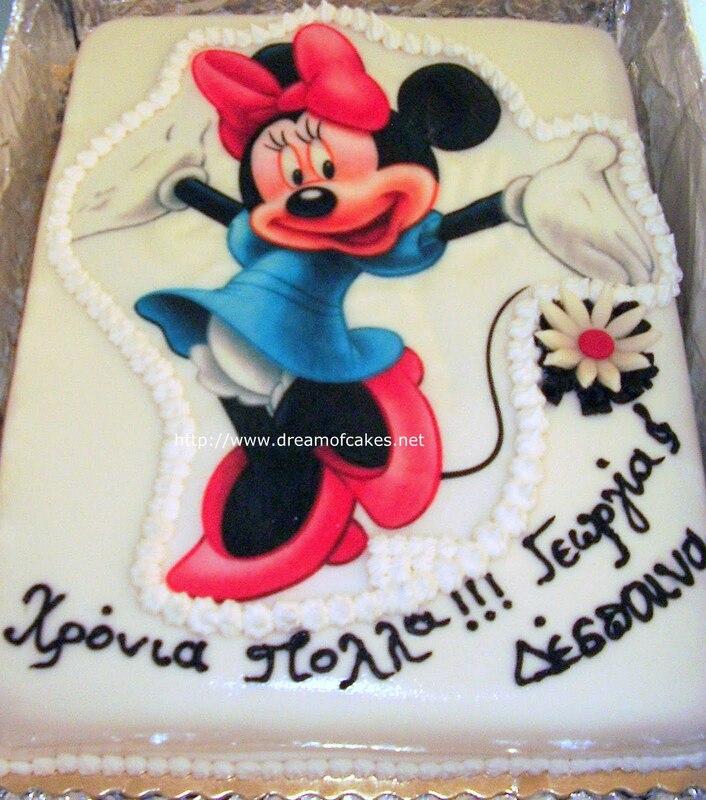 Happy Birthday to both Georgia and Despina!!!!!!!!! Adorable as always :) Love that flower you added! What shall I say?! Simply that you are a genious...was just going through some of your posts and I could easily smell the culinary spark in you! Amazing looking! Your creations are really inspiring! What a cute cake! I love the flower. Wow what a great job! it looks amazing and I bet it tasted great too! I just love your cakes! This one is just adorable. My daughter would love it. You have such talent and no doubt put lots of smiles on little faces. Another great cake!! I am sure they loved it! A lovely design. Well done! Wow. This is great. This fits in so well with my review of Catal because it is in Disneyland. You sure have talent. 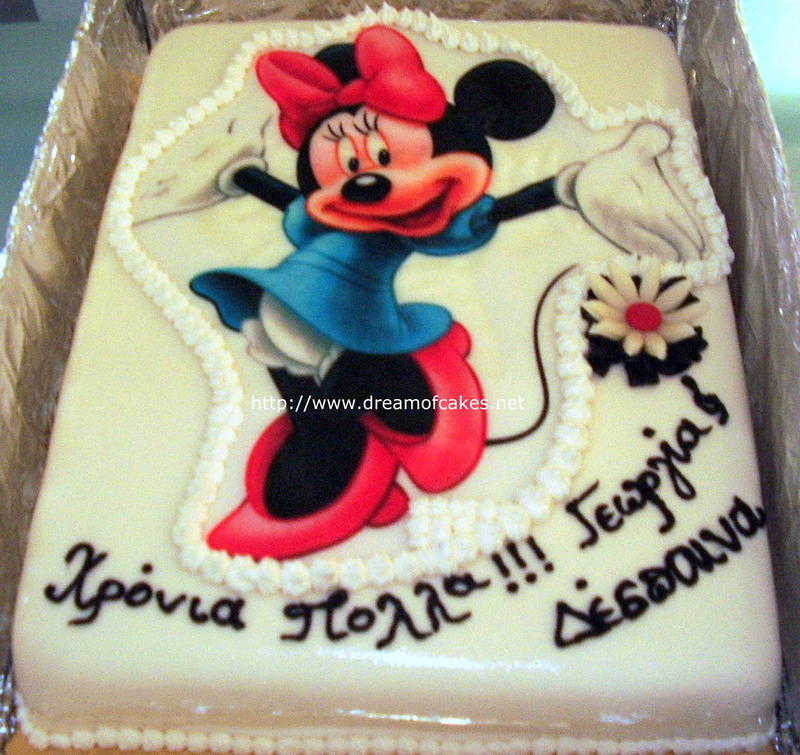 Your cake is sooo cute! The little ones would have loved it! 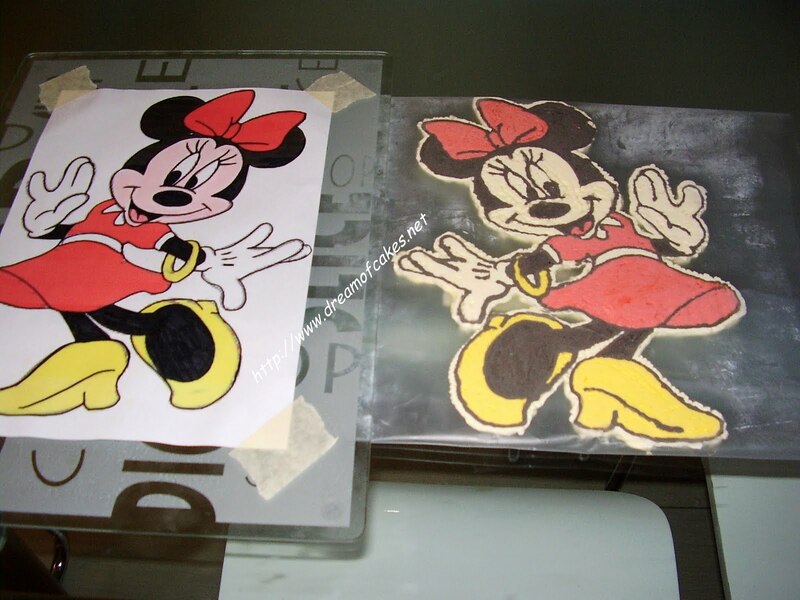 I am impressed with your buttercream minnie mouse design....i know how challenging it is to get it to look so perfect. Yours looks flawless! This cake is so cute, and sounds delicious too - with the chocolate and brandy! so refreshing to see Mini as a birthday cake character! lovely! SO wonderful! I wish you lived nearby and I'd be buying ALL my cakes from you! You do such beautiful work...always in awe of it! Wow, your cake looks awesome. Great job! Awwww super cute! You are ridiculously talented!